Good cheer, high spirits, and a stronger connection to the community – sounds like PRA’s Month of Giving! Started in 2013 by a group of community-minded staff as a way to give back during the hustle and bustle of the holidays, the Month of Giving has grown into one of PRA’s most cherished traditions. Here’s how it works: the Month of Giving committee determines four to five Capital Region-based organizations to focus our efforts on during the month. Each organization is assigned a week; and during its allocated week, the committee shares information about the organization’s services and collects materials and funds for donation. This year, we expanded our efforts to include a group volunteer project for one of our sites, which was a great experience for all involved! This year, the Month of Giving Committee selected five organizations to celebrate during the Month of Giving: the Veterans Miracle Center, Mohawk Hudson Humane Society, Unity House, Parsons Child & Family Center, and Bethlehem’s Community Fund. The sites were chosen based on their location, work in the community, association with PRA’s mission and vision, and charitable interests of PRA staff. During Week 1, we supported the Veterans Miracle Center (VMC), a military-focused non-profit located in Albany. The VMC provides Veterans with an opportunity to “shop” at no cost for household necessities, including clothing, furniture, housewares, and toiletries. The Center also helps connect Veterans in need to services such as the VA, the Vet Center, and Albany Housing Coalition. The VMC is 100-percent powered through volunteers and donations. 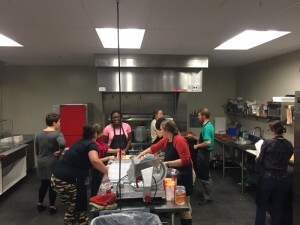 In addition to the civilian volunteers, they have a group of consistent volunteers who are Veterans, and capitalize on the power of peer support. The Center has been open for 9 months and has helped nearly 200 Veterans. 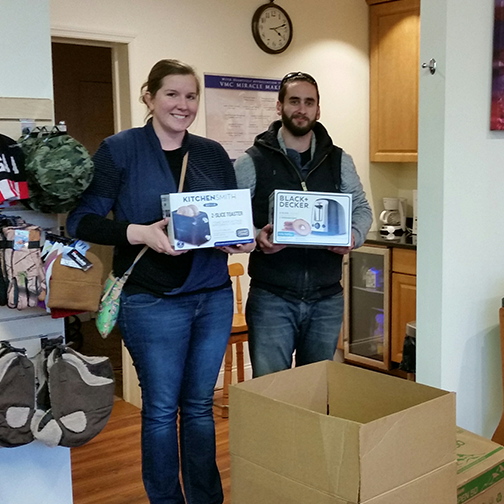 To support their efforts, PRA staff collected monetary donations and items to stock VMC’s storefront. In total, we raised $221 and collected 62 items (cleaning supplies, small appliances, utensils, and housewares)! What an incredible first week! 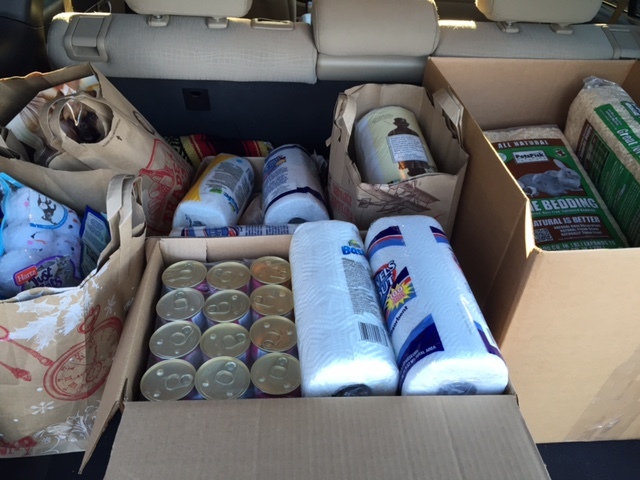 To support their work, PRA staff collected financial donations and pet supplies, including cat litter, grooming clippers, water bottles, peanut butter, wet food, dog toys, soap, and bedding. In total, we raised $130 and collected 128 items! During Week 3, we supported Unity House, based in Troy, New York. Unity House provides a wide range of services to individuals in profound need. People who are living in poverty, adults living with mental illness or HIV/AIDS, victims of intimate partner violence, and children with developmental delays all find essential support at Unity House. To support their work, PRA staff collected monetary donations, food pantry items, and items for Unity House’s Domestic Violence Shelter, including bedding, clothing, toiletries, and children’s items. In addition, staff were invited to volunteer their time to help prepare Unity House’s annual Thanksgiving Dinner! In total, PRA staff raised $300, collected 148 items (toiletry kits, pajama sets, food items, books, blankets, towels, sheets), and volunteered a total of 36 hours in preparation for the Thanksgiving meal! During the fourth and final week of the Month of Giving, we supported two PRA favorites: Parsons Child & Family Center, located in Albany New York, and the Bethlehem Community Fund, located in Bethlehem, New York. 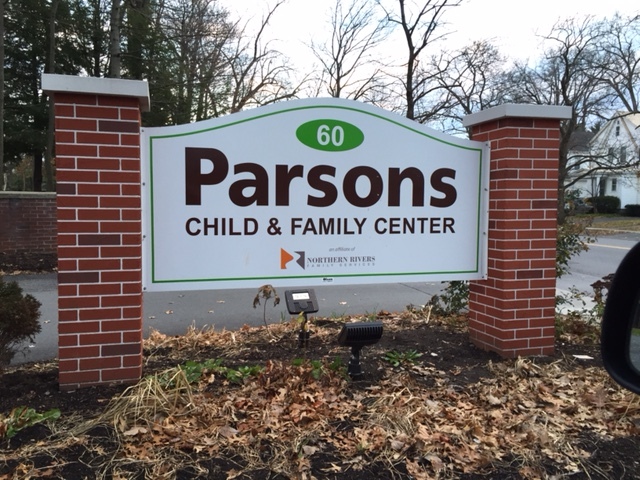 Parsons Child & Family Center is the largest multi-service agency in New York’s Capital Region dedicated to helping families and children. The agency provides counseling services, parenting education, child abuse/neglect prevention and treatment services, family-strengthening programs, early-childhood family support, special education, youth development programs, and mental health services. To support Parsons, we collected monetary donations and new, unwrapped gifts (toys, clothes, home goods, gift cards) for the youth that Parsons serves. Bethlehem’s Community Fund helps children, families, individuals, and the elderly living in the Bethlehem Community (where PRA is headquartered), whose needs fall through the cracks of traditional programs. Typically, they are facing economic difficulties because of job loss, disasters, divorce, illness, or other life changes. To support Bethlehem’s Community Fund, we collected monetary donations, allowing families to buy groceries and gifts for their children. In total, we raised $290 and collected 44 items for Parsons Child & Family Center and raised $365 for the Bethlehem Community Fund! Our month of giving was a great success, with 382 items donated and $1,306 raised for our selected organizations. We cannot wait to top these numbers next year! We are so thankful to have such a giving staff – it is incredible to see our small community pull together to help our neighbors in need.